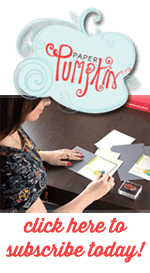 Being a Stampin Up Demonstrator has some perks, like being able to buy products before they are released to the public and earning free products and free vacations just to name a few. But did you know that the top sellers in the Company get a very special perk? When you reach $1,000,000 in sales, you get to design your own stamp set, which will then appear in a future catalog. How cool is that! 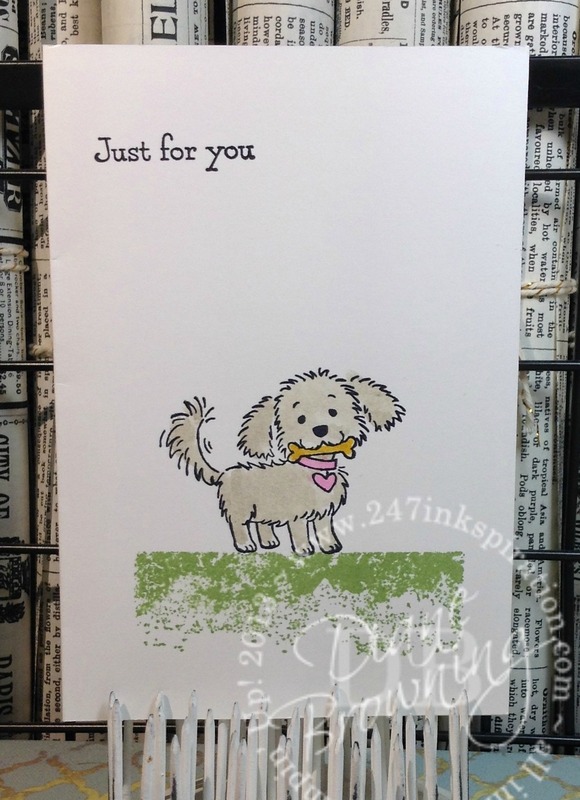 Today’s stamp set was designed by Angie Juda and is her own little pup, Bella. I love dog stamps, but they hardly ever look like my dog assistant, Frannie. Bella doesn’t look like Frannie either, but you can tell she has a lot of personality and she’s small and furry – just like Frannie. Today’s cards were super easy to whip up. I used the Note Cards & Envelopes set for these. 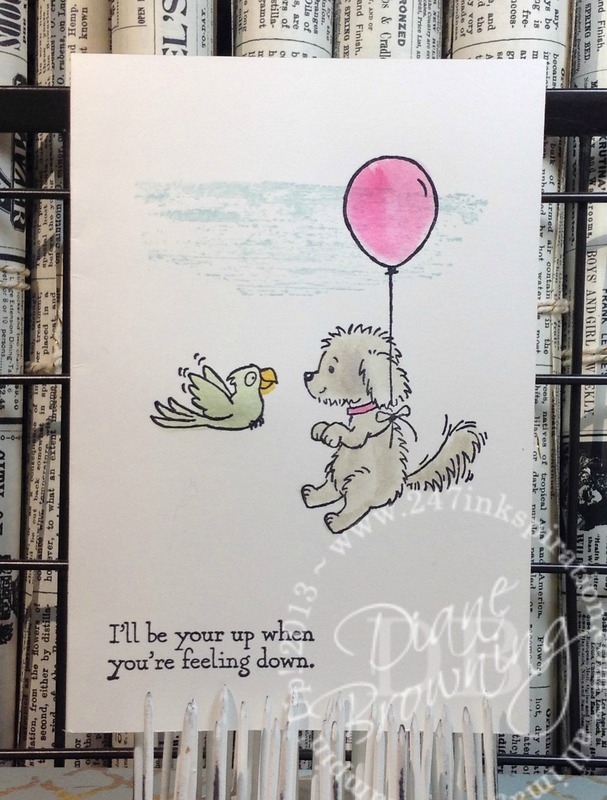 I used the Timeless Textures stamp set to create grass and sky for the pup. Then I stamped the pup in Archival Black ink. 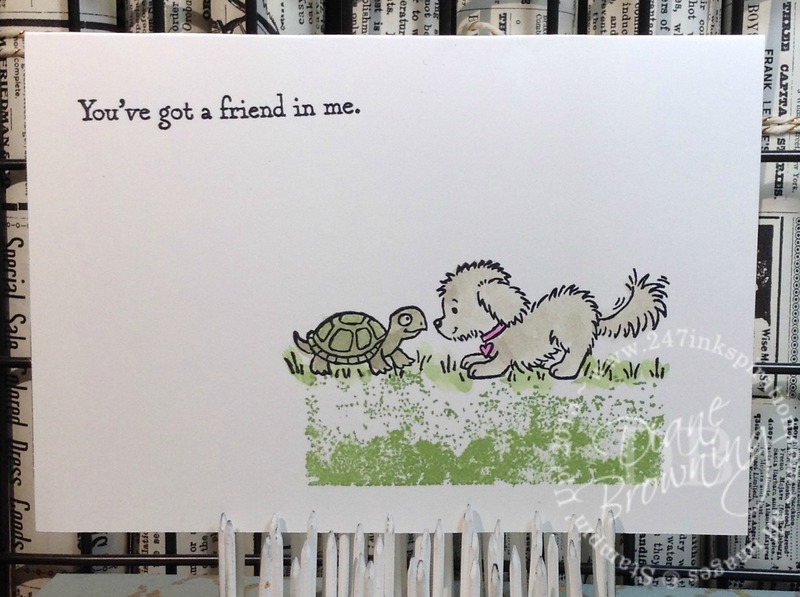 To color the pup and his friends, I used my Aqua Painter and ink pads. Super cute and super simple! I hope you enjoyed today’s quick and easy watercoloring.